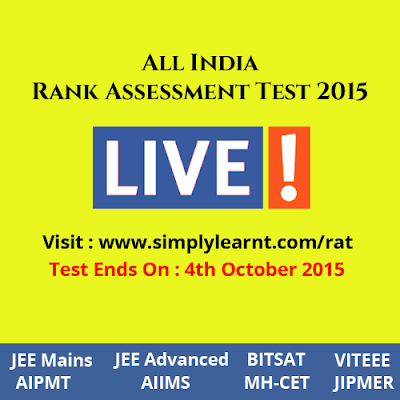 All India Rank Assessment Test 2015 is now LIVE! The prestigious All India Rank Assessment Test 2015 that all have been waiting for is now LIVE! Do not miss this opportunity to judge your preparation. This is the best time because after this you need to begin serious preparation for your entrance exams. You can take this test online on simplylearnt.com any time at your convenience before midnight of October 4, 2015.